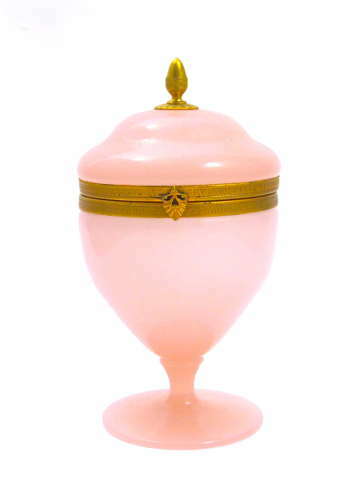 Antique French Pink Opaline Glass Hinged Box with Pedestal Base and Fancy Gilt Mounts. The Hinged Top has a Pretty Leaf Clasp and Acorn Finial. Rare Pink Opaline Colour !